As I've said before, Apple is a frustrating company that offers both improvements and out-of-date features that confound expectations. This has some tech writers railing on Apple for introducing the $329 iPad mini with lower resolution (1024 x 768) than other similar sized models. It may be a valid complaint if you limit your view of the product and ignore the target market. From left to right: iPad mini, Kindle Fire HD, and Nexus 7. If the screen is less wonderful than the $199 Kindle Fire HD or the $233 Nexus 7 (each with 16 GB of memory and 7.0" 1280 x 800 pixel screens), then it may not be designed for these types of uses. This group probably doesn't have an iPhone and is too cheap to buy an iPad. More likely this group has an Android phone and probably few (if any) Apple products. This is important, because Apple doesn't just sell the iPad mini, it sells the whole ecosystem. If you already have an iPhone, then you have a collection of apps ready to transfer to the iPad mini. Your music will sync. You are already committed to Apple, and staying with Apple will save you time and money. The old idea of the rabid Apple fan blinds some people from acknowledging the new Apple user. These people include my 80-year-old mother-in-law, who just wants technology to work. The more full featured and integrated Apple has become, the more these new users are satisfied - and it is harder for them to leave. Let's look at the Apple iPad mini in the context of the Apple user. An Apple user has either an iPod, iPhone, iPad, or Mac. All have iTunes and therefore music to transfer over. iPod touch, iPhone, and iPad users all have apps downloaded with at least a few paid for apps. They are used to how the sync process works and are knowledgeable enough to transfer files to a new Apple product (even if they are not, they still have the Apple retail store with a Genius to help). Now that we identified the buyer, an Apple user, what is their reason to buy a Mini? The Mini has no special apps, camera, GPS, network feature, etc. that cannot be found on the larger iPad 2 or iPad 4. That only leaves size and cost as justification for buying it. Before the announcement, if you wanted a smaller iPad or didn't have enough money, your only choice was to buy an iPod touch, Kindle, or Android tablet. Apple has lowered that barrier. You can now buy either an iPod touch for a really small size (3.5" or 4" display) or get a 7.9" iPad mini with a slightly larger screen. In Apple's view of the Apple user, this price range covers everyone from $199 to $499 and beyond. They've sold 100 million iPads in the $499 price range. 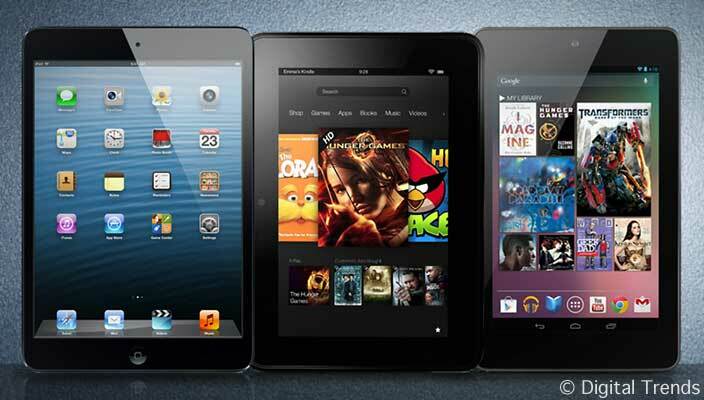 Sales haven't slowed down just because the Kindle Fire HD or the Nexus 7 was introduced. The question is how many iPad minis will Apple sell that cost less than an iPad 2 but more than a new iPod touch? The answer is enough to satisfy Apple users who want either a smaller or cheaper product without cannibalizing away those users who want the best overall product. The iPad mini may be "every inch an iPad", but the iPad 4 is still the better product. It has the better resolution screen and the better processor. Technology writers may be able to compare a single product feature and write a story, but Apple knows it customers. Others may disagree, but Apple will do fine with the current pricing, at least until after the Christmas holiday.